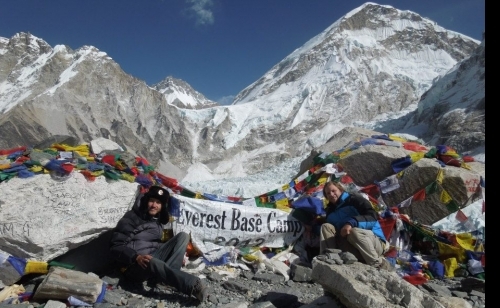 Taking you through the most beautiful and awe-inspiring areas of the Sagarmatha National Park, The Everest Circuit trek is one of the most thrilling and adventurous treks The Himalayas have to offer. 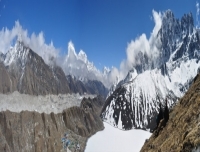 Set over 20 days, the trek takes you along one of the most famous and highly praised trekking routes through the Dudh Koshi to its source the Gokyo Lake, over the high altitiude Cho La pass (5330m) and up to the Legendary Everest Base Camp (5,545m). 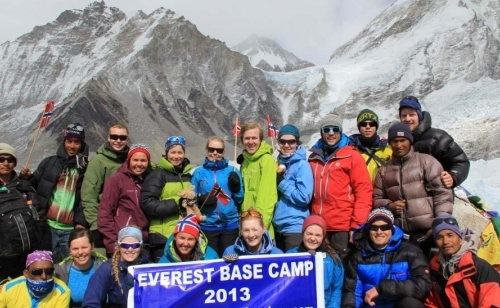 This adventure offers you the unique oportunity to discover some of the most spectacular sites of the everest region. 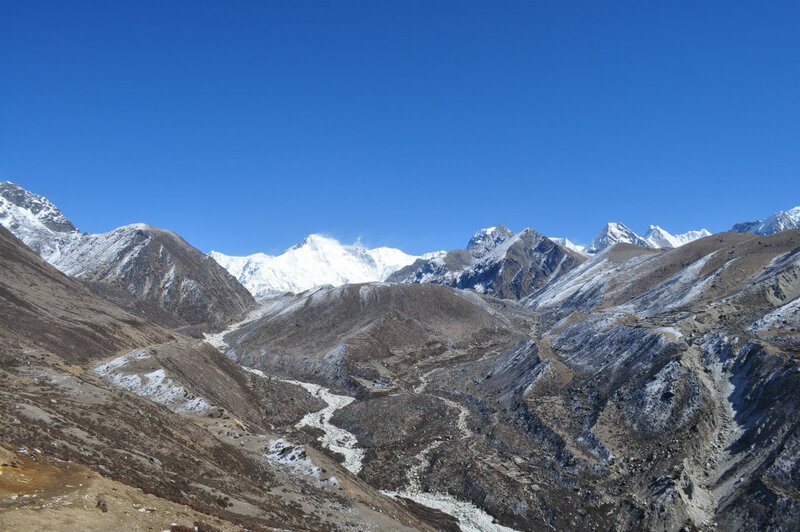 Kalapatthar, the valleys of the Khumbu, The lakes of Gokyo, The legendary Everest Base Camp and the summit of Gokyo Peak (5483meters) to highlight a few. 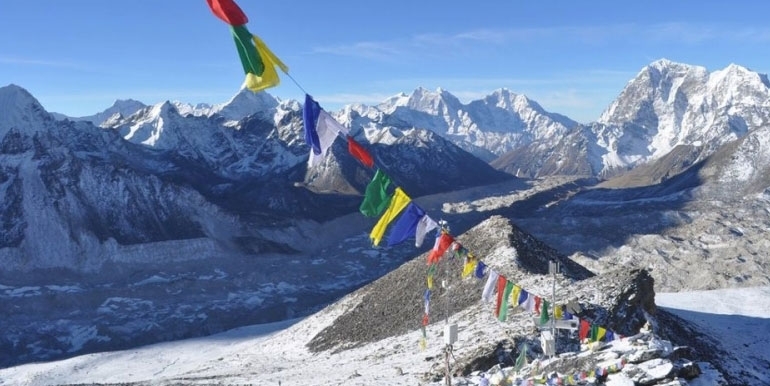 Also on offer are the beautiful, panoramic views of some of the highest peaks on the planet, Cho Oyo (8201m), Mount Everest (8848m) and Makalu (8463m) and many others. Combining the captivating scenery with the outstanding culture and historical atributes, this everest trekking experience will leave you with a sence of acomplishment and lasting exhilaration. 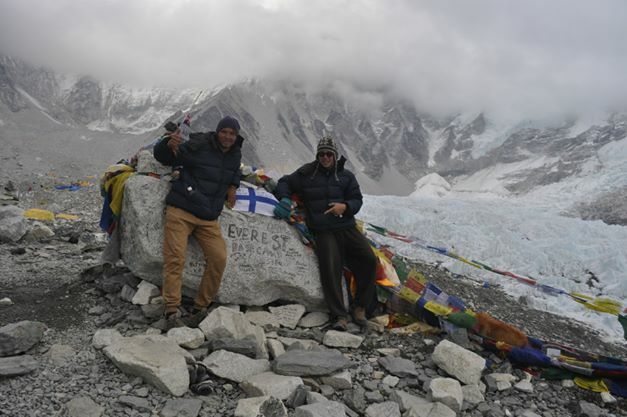 Amidst the the challenge and adventure, you will also have the oportunity to experience the vast, rich culture of the Everest Himalaya region and its inhabitans, the Sherpa people. Known for their easy going nature and strong heritage in mountaineering, Sherpas make up one quarter of the total number of people climbing Mt. Everest and are based mainly around its foothills. 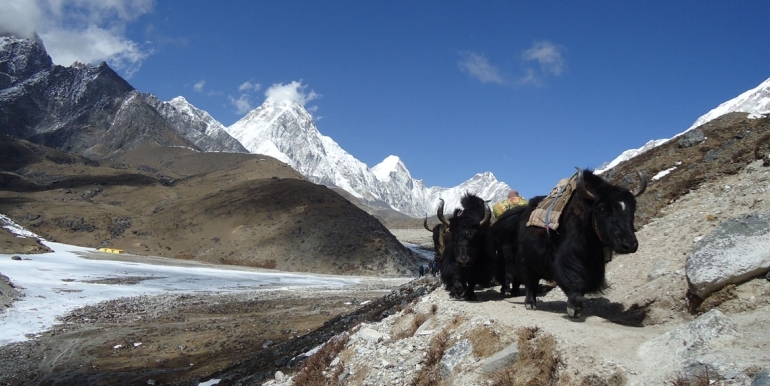 During the Everest Circuit trek, passing through the unique and traditional villages of Sagarmatha, you will be provided with a true insight into their rich culture and traditional ways of living. Starting from Lukla, the trail brings you to Namche Bazaar the Sherpa capital of Nepal, where you will have a day to Acclimatize and check out the bustling markets and colorful surroundings. The trail continues to the immaculate Gokyo valley, followed by the hike to Gokyo Ri, The Cho la Pass, and the trek to Everest Base Camp. 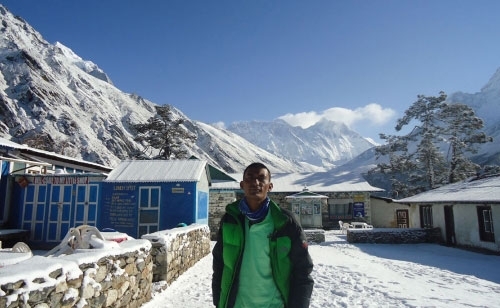 Returning to Gorakshep, the adventure continues with a climb to Kalapatthar, where you can see more spectacular mountain and glacier views including the peaks of Mount Everest, Mount Nuptse, Mount Lhotse and Mount Pumor. Returning through Pheriche, Pangboche, Tengboche and Namche Bazzare, the trek winds up back in Lukla where awaits the returning flights back to the final destination - Kathmandu. 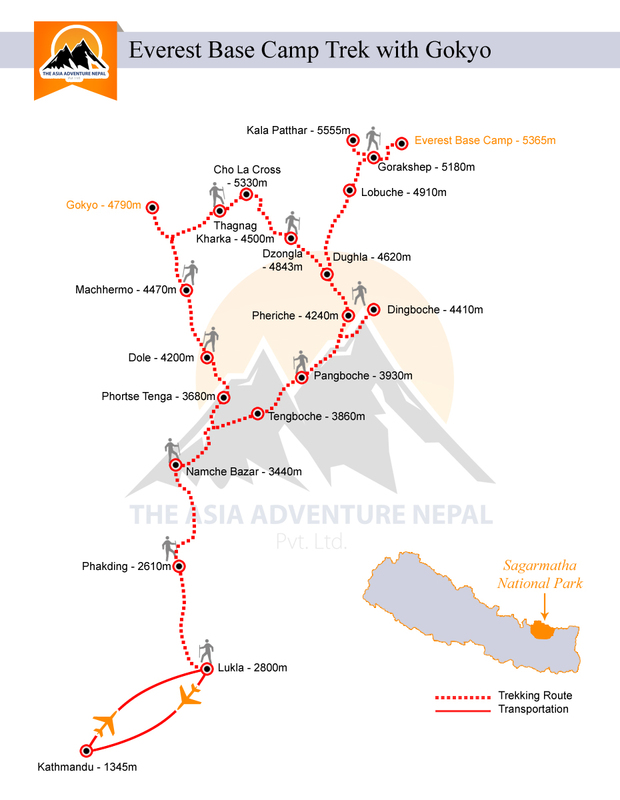 This trip is for 16 days from Kathmandu to Kathmandu and you will have option to extend your holiday in Nepal as long as you want. Private pick up and transfer as per the programmed itinerary. 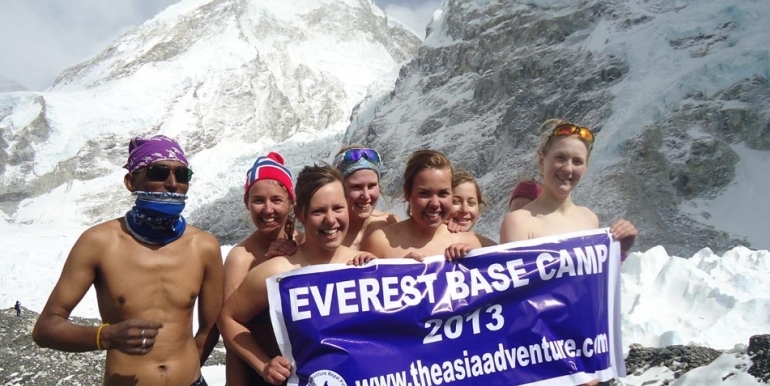 2 nights pre–trek and 1 night post–trek accommodation in Kathmandu at 2-3 Star hotel (or as agreed), with breakfast. Full day sightseeing tour in Kathmandu valley (as per the itinerary), with private transport, local guide and all entrance fees. 3 meals per day (breakfast, lunch, dinner, teas and coffees) for the duration of the trek. 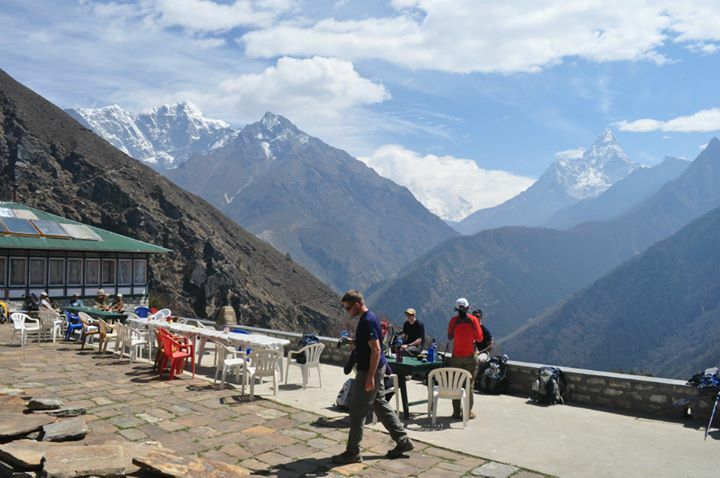 Twin share accommodation at best available guest house for the duration of the trek. 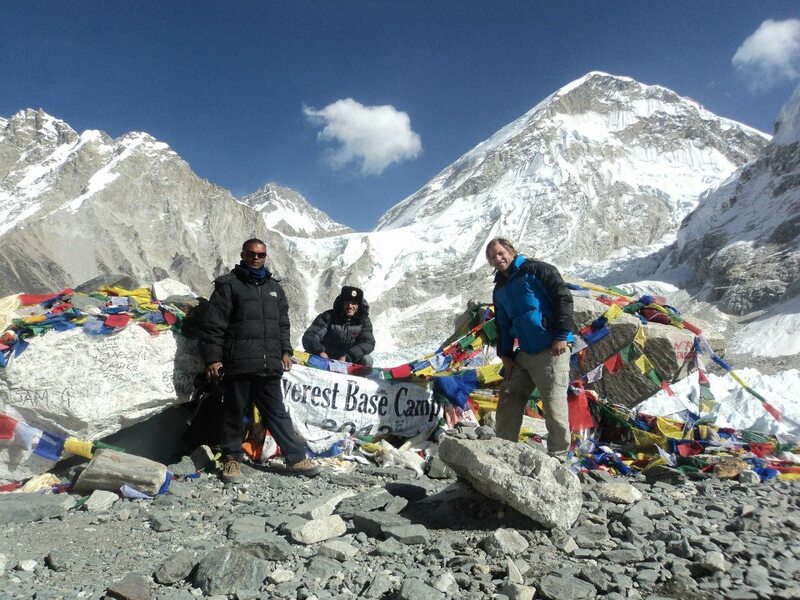 1 experienced, fully trained, government licensed and English-speaking Senior Trekking Guide for the trek duration. Return flights from Kathmandu to Lukla inclusive of all airport taxes. 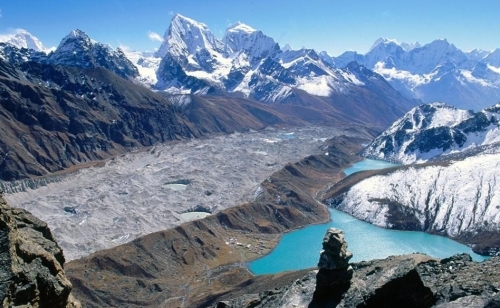 Sagarmatha National Park permits and TIMS (Trekkers Information Management System) permit. Under Garments ,Hiking shorts, Lightweight cotton long pants, Light and expedition weight thermal bottoms, Fleece or wool pants (seasonal),Waterproof (preferably breathable fabric) shell pants. 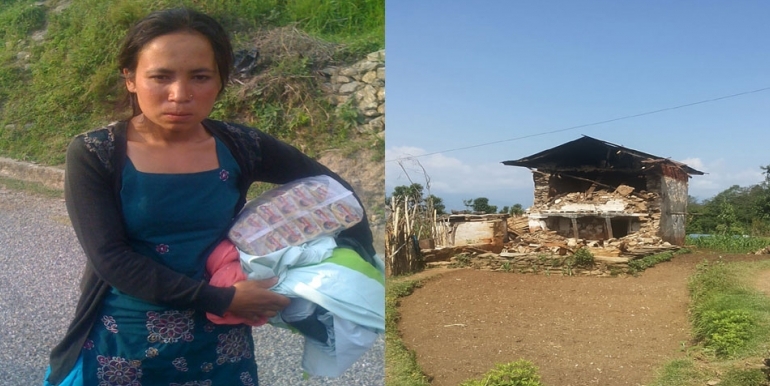 It is important to consider that internal flights to/from Lukla can be subject to disruption. Due to bad weather, flights can sometimes be delayed or even cancelled. 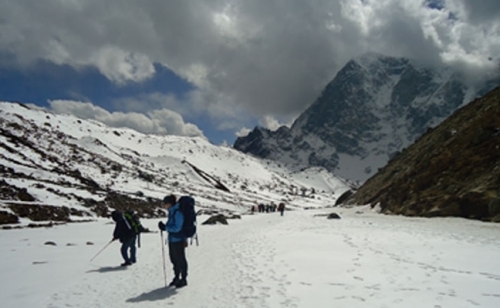 Although such disruption is rare, we should be prepared for every eventuality, any time of the year, even in the peak trekking season. In case of flight cancellation it is therefore advised to bring extra money to cover costs of additional nights in Kathmandu, as this expense will not be included in your package. 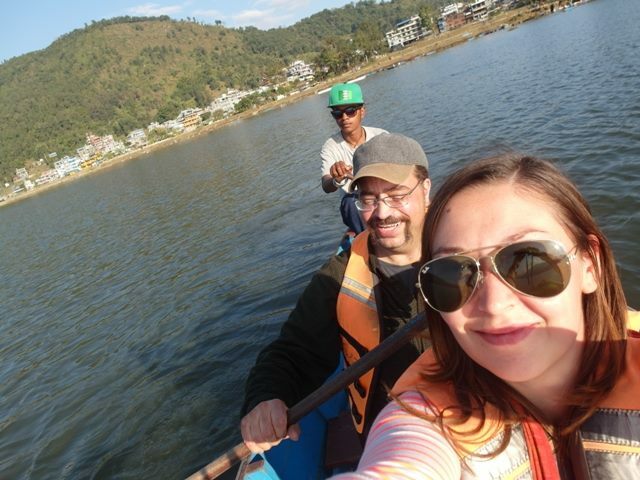 If you have to stay in Kathmandu longer than planned, you can of course enjoy other activities like cultural tours, rafting or shopping as you wish, and we can help to arrange this for you. For those travellers on a schedule that cannot be compromised, in case of flight disruption which is very rare, we can arrange an alternative trek to suit personal needs and time constraints.